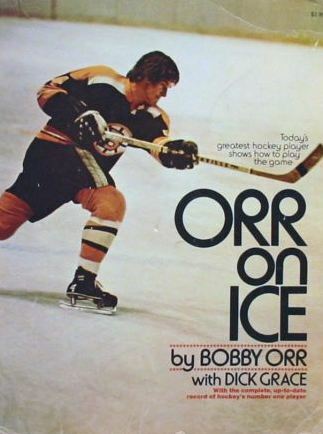 Hockey legend Bobby Orr will commit his life to paper in an autobiography that explores both his sports career and personal life.Orr: My Story will be published by Penguin Canada’s Viking imprint in October. I’m like most people in that over time I’ve wanted to write down my thoughts, make sense of many things I’ve seen, and share some things I’ve learned. Having played in the National Hockey League doesn’t make me a better person than anyone else but it does mean that I’ve met some interesting people and been through some experiences I think are worth putting on paper. This moment in my life seems the right time to do just that. Orr: My Story was acquired by Penguin Canada associate publisher Nick Garrison and will be published simultaneously in the U.S. by Penguin’s G.P. Putnam’s Sons imprint. Please note: the above cover image is not the cover image for this upcoming release. It is from a book published in 1973. This is something I want to read, it sounds really good.